Students competed November 12 in regional UIL Congress. This event models the legislative process of democracy. Prior to competition students researched the docket of bills and resolutions submitted by school ranging from 1A-6A. 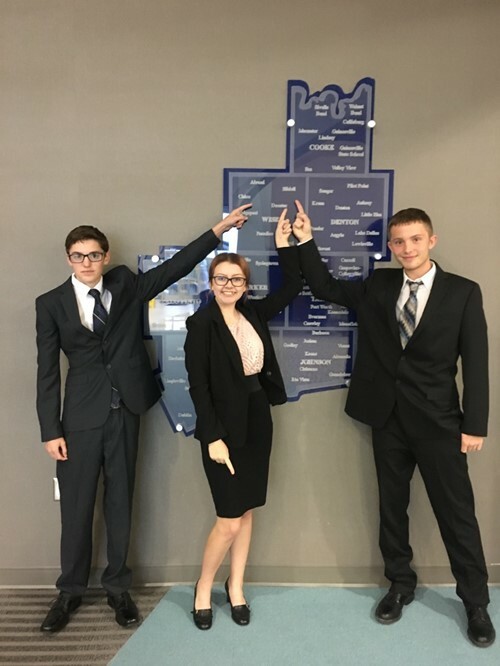 At the tournament, they delivered affirmative and negative speeches on each piece of legislation, voted to pass or defeat the measures and responded to other students’ arguments all while following the parliamentary procedure. Slidell is pleased to have Tyler P, Madison S and Brady V moving forward to compete at the state meet January 7th-9th.